Farm house with many updates done. Roof, windows, electrical and more. 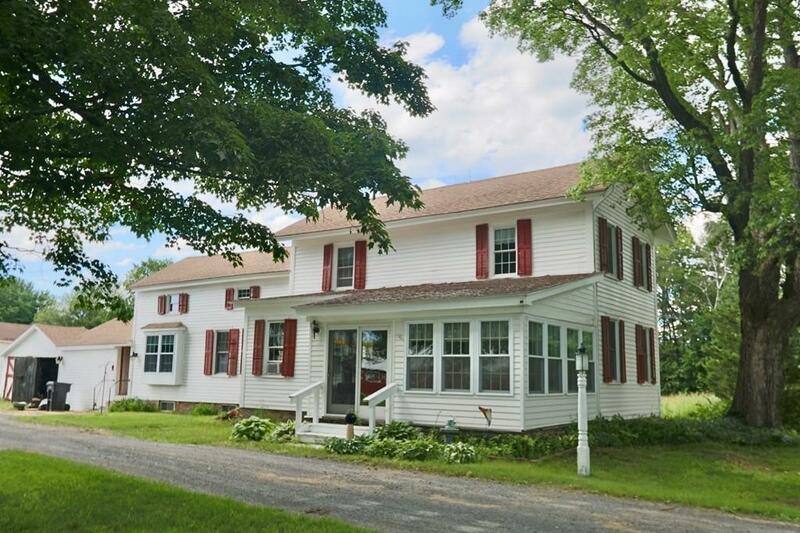 1850 Farm house being sold with 5 Acres and three out buildings. Setback off the road. Master bedroom and bath on the first floor. With total of four bedrooms and 3.5 Baths. Two three season porches one with hot tub, First floor laundry room and nice cozy mud room. 23 additional acres to the left are a nice field to have as neighbor. Lot is 12.14 acres and house is now being sold with 11.14 Acres with a 1 acre building lot to be subdivided off the front. Buyers can buy house and lot together if they want. Total of 5 out buildings on property being sold with house.